Young girl in a swimsuit walking on the beach. Aerial view of on tropical beach Bali, Indonesia. Travel concept, Aerial footage, 4K video. 4k00:10Glide over the satellite map of Egypt. Country area highlighted and outlined. Elements of this image furnished by NASA. 4k00:12Aerial follow footage of a Man running on a beach on a sunny day. 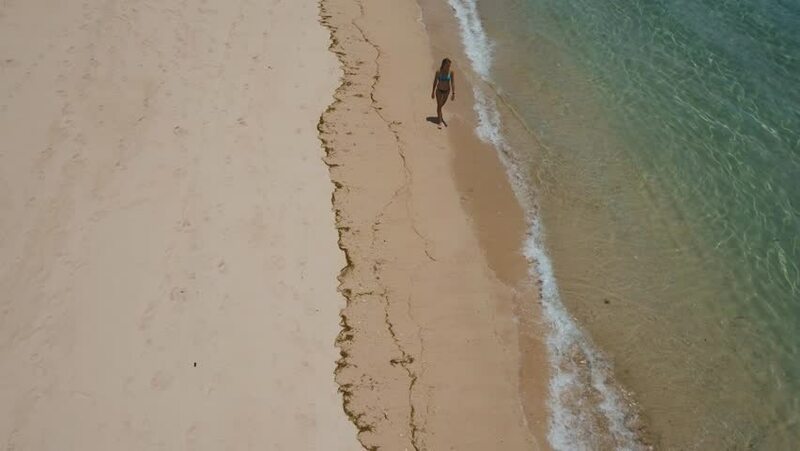 4k00:28Two people and Two dogs walking on a sandy beach - Top down aerial follow footage.